Stop using a hammer drill to locate reinforcement in concrete slabs! Ground Penetrating Radar Systems of Salt Lake City, UT uses the latest non-destructive concrete imaging technology to precisely locate any hazards in concrete slabs on jobs all over Utah. Recently GPRS, LLC. was called up to the City Centre Building in Salt Lake City for Paragon Builders. 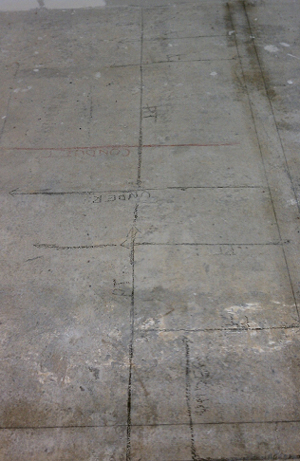 The project manager on site was able clear three coring location prior to saw cutting, by marking where the post tensioning cables were running in the slab. 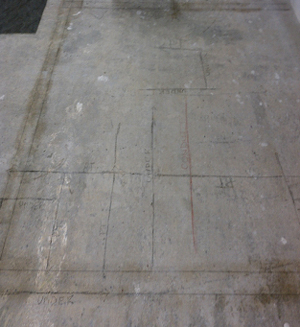 The project manager was even able to locate where live conduits and duct work were mounted under the slab. Ground Penetrating Radar Systems prides itself on keeping workers safe and jobs on schedule. All project managers are certified in the use of GPR by the manufacturer of our state of the art technology. GPRS of Utah can assist you on any job, especially in: Salina, Monroe, and Orange City. Contact Sam Baldwin at (801) 599-2115 or sam.baldwin@gprsinc.com for more information. Call GPRS BEFORE cutting concrete or excavating, it can save you time and money! Ready to Start Your Project? Contact Your Local Project Manager Today!